One of the great things about Torchlight and Torchlight II is the fact that, every time you play, it’s a different experience because of the randomly generated levels. I’ve always thought procedural generation would make leveling multiple characters in an MMO a lot more interesting, so I’d love to see that integrated into Torchlight Frontiers. That said, it’s a lot easier to tell a story in premade locations, so I hope they go for a mix of the two. The joy and the curse of ARPGs is loot. It’s a great feeling when you finish off a boss and it explodes in a shower of armor, weapons, and coins all over your screen, but, sadly, most of that loot isn’t going to be useful to anyone. Torchlight has a nice system for dumping useless junk into your pet’s inventory and sending them off to town to vendor it, but it would be cool if there was something more we could do with it. Deconstructing for crafting materials is the first thing that comes to mind, but Torchlight doesn’t traditionally have crafting, so we’re not sure what form, if any, that will take in Frontiers. Maybe donating it to vendors for upgraded stock or fusing it into socketable ember pieces? One of the things I miss the most about Marvel Heroes is the summoner playstyle. It’s not something you see in a lot of MMOs, probably due to system resources, for both players and the server, but OARPGs seem to be able to pull this off. I loved controlling an army of squirrels as Squirrel Girl, building turrets everywhere as Rocket Raccoon, or beaming in hordes of robots as Ultron. There’s something satisfying about overwhelming your opponent with superior numbers. Torchlight’s Alchemist had this in the form of Nether Imps and alchemical golems, and there were various spells that any class could buy to summon zombies and skeletons. I’d love to see this playstyle return for Torchlight Frontiers. Not to keep bringing up Marvel Heroes, but one of the best things about that game was that there were so many characters to play. I don’t expect there to be fifty-something classes in Torchlight Frontiers like in Marvel Heroes, but I’d like to see more than three or four, if not at launch then a couple years down the road. Gameplay variety is the thing that keeps me coming back to games like this. 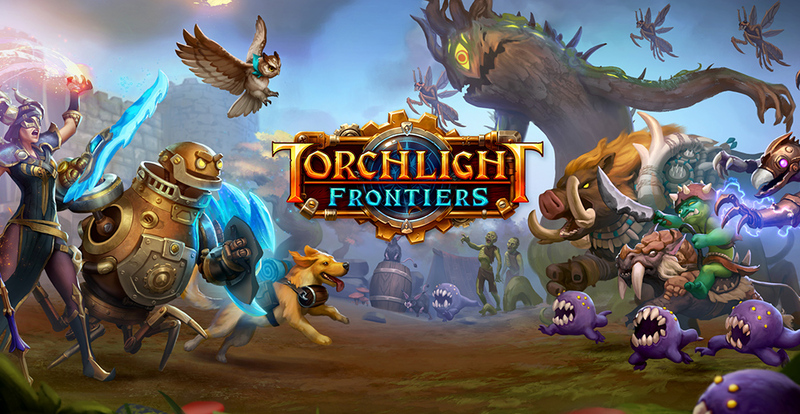 Read the comments on any article on the announcement of this game, and you’ll mostly see varying degrees of skepticism (if not outright hatred) of Torchlight’s owner/publisher Perfect World Entertainment. PWE is known in the MMO community for being the king of lockboxes. If you’ve ever played Neverwinter or Star Trek Online you know what I’m talking about. Every other drop gives you a lockbox to clog up your inventory, with keys to open them only available in the cash shop. It’s a really annoying business tactic, the video game equivalent of popup ads, but one that I guess I could put up with if the game was good enough. After all, if you want to draw a hard line against playing games with gambleboxes, your options are sadly few and far between these days. That said, I’d really rather they went with more of a buy-to-play model with microtransactions for actual content. Even though we don’t have a whole lot of information right now, I’m really excited for this game. I had given up hope of ever seeing this when Torchlight’s studio Runic announced they were closing, but in retrospect, that was just making way for this (probably to give PWE more direct input on the game, for better or for worse). I’m especially excited that it’s slated to come to mobile, as I’ve always thought Diablo-like games could be really fun on mobile, but most of the ones I’ve found are poorly translated Korean grinders. I have high hopes for this game, hopefully I’m not disappointed! Half a year ago today, my favorite low-stress, sort-of-MMO went dark, amid a flurry of weird circumstances and mishandling on the part of the studio and Disney. Do we really know why it folded exactly? I’m not sure. I think I stopped paying attention when the end was clearly upon us. The worst part is that it has kind of ruined Marvel media for me. My wife has recently gotten into the Squirrel Girl series (which is excellent, by the way! ), and, given that she was one of my favorite characters in Heroes, reading those comics always dredges up memories of shooting squirrels at everything in Midtown (Death From The Trees! Hulkbuster Squirrels! Squirrelpocalypse!). Infinity War was also painful, not because of the characters they killed off (seriously, if you want me to be sad about characters dying, don’t kill off ones who are currently shooting another movie), but because of the game they killed off six months earlier. I feel a little silly talking about some dumb video game, and, let’s be honest, a sometimes mediocre one at that, like I’ve lost an old friend. But I think other gamers who have had a game that they thought would be there for years to come unceremoniously yanked out from under them will understand. Ask anyone who played City of Heroes (man, what is it with super hero MMOs?) or Star Wars Galaxies anything about those games and you will get a long nostalgia trip about how great it was and how there’s nothing else out there quite like it. Well, now I understand those people a little better. I’m still hoping someone will come up with a way to do an emulator/private server. I’d love to play this game again, even if it’s just as a single player experience. Well, it’s official. Marvel Heroes is dead, or at least it soon will be. Of all the MMOs I have played over the years, I never would have guessed this would be the first to go. It’s never been one of my main games, but it’s always been something I come back to from time to time. It’s the perfect game to pick up a new character, blow some stuff up, and move on. No big time commitment, not a lot to think about, just punching bad guys. There aren’t many MMOs that do that well. Back in 2013, I wasn’t a big Marvel fan (I hadn’t even seen most of the movies at that point), but I was fresh off of an obsession with Torchlight II, and was just thinking how cool a Torchlight MMO would be when I saw an announcement for Marvel Heroes. I was initially excited about it because of the kind of game it was, but later I recognized what a perfect game it was for the IP, and I can honestly say that I don’t think I would have been as interested in the Marvelverse as I am if it hadn’t been for this game. Marvel Heroes educated me about a lot of Marvel characters–Rocket Raccoon, Deadpool, Captain Marvel, and, most importantly, Squirrel Girl–long before they showed up in movies or TV shows. Translating comic book characters to ARPG power sets sounds almost as fun to design as it is to play. There will never be another game quite like it. I was sick yesterday morning when the news hit Massively Overpowered, so I immediately logged in, and there were a lot of mixed reactions. At that time, the official forum announcement hadn’t yet been made, so a lot of people were in denial about it, even coming from legitimate sources like MassivelyOP and Kotaku. Most were stunned or sad. Some people were angry, perhaps rightfully so for those who had just dropped money into the game with little hope of a refund. I feel worst for the console players, who had already been a bit price gouged, and now won’t even get to enjoy their purchase for a whole year before it’s unceremoniously ripped away from them. I’ll keep the game installed, but I don’t know how much I’ll play before the lights go out December 31st. I’d like to get a couple characters to cap, just to say I did it. I was never good at sticking with a character, especially once I had most or all of my skills unlocked. The whole thing is really sad. We aren’t even clear at this time on why it’s happening; some say it’s because of harassment accusations leveled at the CEO, some say it’s due to lack of money. Maybe a bit of both. I don’t really care what the reason is, I just know I’m going to really miss this game. You know, in hindsight, we really should have seen this coming. 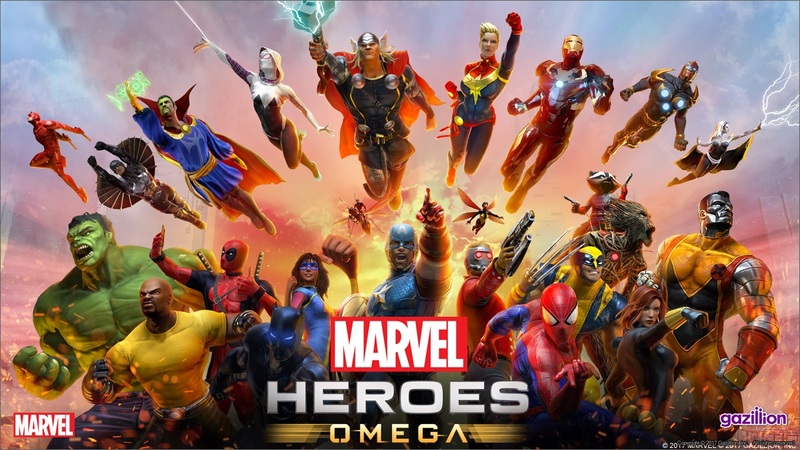 I’m not talking about the lack of communication or legal allegations, I’m not even talking about what a terrible track record superhero MMOs have, I’m talking about back in Spring when they changed the game’s name to “Marvel Heroes: Omega,” and then announced that Ragnarök would be coming. Clear signs of the end times for this game.